Clamp it in, tighten it down and let your creativity take over! 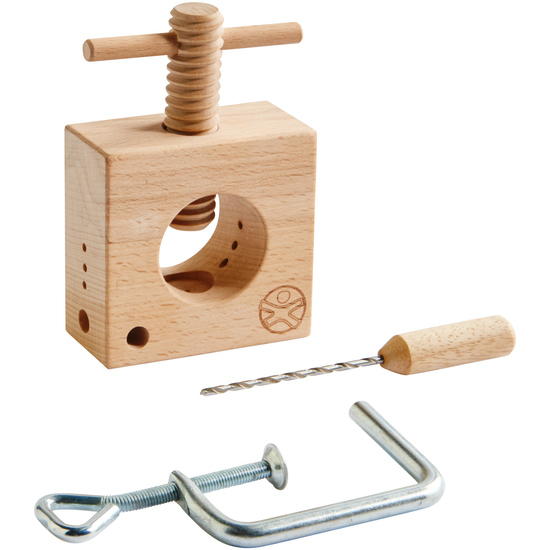 The mini multifunctional vise allows children to clamp short branches easily and tightly (max. Ø 4 cm) to carve, cut or shape. This handy vise is multi-talented, it also cracks nuts and drills chestnuts! Material: wood, steel.